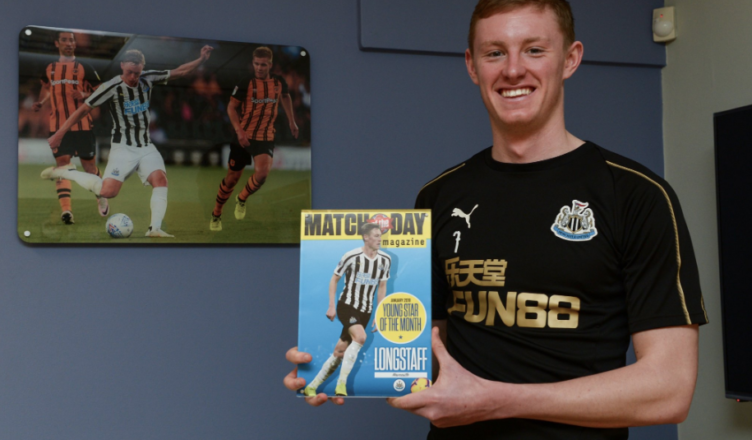 Sean Longstaff lands Match of the Day award – A well deserved moment after an incredible month – NUFC blog – Newcastle United blog – NUFC Fixtures, News and Forum. Sean Longstaff has been named BBC Match of the Day Mag’s ‘Young Star of the Month’ for January following a string of outstanding performances in the Newcastle United side. To say he’s taken his chance in the team following injuries to Ki, Diame and Shelvey would be an understatement, with him almost seeming undroppable if mantains his current high level of performance. He’s since received huge praise from the likes of Gary Lineker, Alan Shearer and our very own Rafa Benitez, with his class on the ball and impressive engine off the ball also said to be catching the eye of Gareth Southgate. HOW DOES IT FEEL TO BE NAMED YOUNG STAR OF THE MONTH? WERE YOU ANNOYED YOUR JINK AROUND VIRGIL VAN DIJK DIDN’T MAKE THE MATCH OF THE DAY HIGHLIGHTS CUT AFTER YOUR DEBUT AT ANFIELD ON BOXING DAY? “Haha! A little bit, yeah! “Me and my brother [Matthew, who plays for Newcastle’s U-23s] have a little trophy room where we’ve got all the trophies from when we were little kids, so it’ll probably end up going in that room. Well deserved. What a month and a half it’s been for Longstaff – a player who’s already proven that he’s more than capable of cutting it at Premier League level. The exciting NUFC side that could be set to start vs Huddersfield – TWO big calls for Benitez.. Worrying new details emerge on Mo Diame’s future – The wrong call here could make Rafa’s mind up..